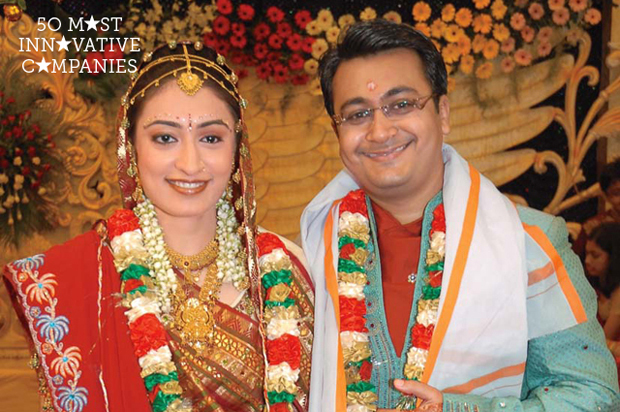 For proving that marriage, Indian-style, works online as well as off. This year, the world’s largest matrimonial site plans to open retail sites for marriage counselors for its 20 million registered users. For leveraging its knowledge of the Indian market. Since the launch of the Indica in 1999, Tata Motors has launched products such as the Nano, Aria, Indigo and a host of commercial and utility vehicles that meet the particular transport needs of Indian consumers and businesses. For expanding India’s outsourcing industry to rural areas. Created to “harness the value of rural India”–and head off the loss of outsourcing businesses to even lower-cost locations than Bangalore or Mumbai–HarVa is one of India’s first rural business process outsourcing (BPO) operation. HarVa trains young rural people, especially women, to develop technical skills, from data entry to software testing. For scaling telemedicine. With more than 150 telemedicine centers across the globe, Apollo offers mobile telemedicine units in areas where there are no hospitals, remote consultations, and ICU monitoring. Its web-enabled telemedicine app, Medintegra WEB, allows doctors, nursing homes, and hospitals to better treat patients in rural areas. For making community radio possible in villages and small towns. Gram Vaani’s simple server and software helps rural communities create their own radio stations. Twelve are broadcasting today, with even more in the queue. For giving a “voice” to speech-impaired children. The company’s AVAZ device interprets the gross motor movements of a child and uses predictive software to help users form sentences, which it then reads aloud. It also includes a portable touch-screen voice synthesizer, which can be easily mounted on a wheelchair. For taking banking to the remotest of villages in India. Relying on biometric authentication, it connects more than 3 million customers to 25 major banks, which allows them to expand without branches. It also provides a means for disbursing various government payments to the poor. For crowdsourcing instructional videos. To reach the legions of Indian farmers that ignore instructional media from the agriculture industry, Digital Green turned the camera over to a more trusted teacher: their peers. The company lets select villagers film themselves demonstrating new agricultural techniques. Then, after checking for accuracy, it screens them for the farmers using handheld projectors. For connecting more than 40,000 traditional craftspeople with the world’s growing urban middle class. Through its website and 136 retail stores (including one each in Rome, Kathmandu, and Dubai), Fasbindia sells clothing and products for the home, all of which are sourced from villages across India. For introducing refrigeration to India’s rural masses. What Tata Motor’s Nano car is to automobiles, the Godrej ChotuKool is to the refrigerating industry. The fridge, which costs roughly $70, does not have a compressor and runs on batteries.